A popular dish synonymous with Peranakan cuisine, laksa is a spicy noodle soup that brings together the best in Chinese and Malay flavours and ingredients. Whether you’re looking for Katong laksa containing the freshest seafood along, or Assam laksa with plenty of fiery flavour, you’ve no shortage of options when you order in from foodpanda. 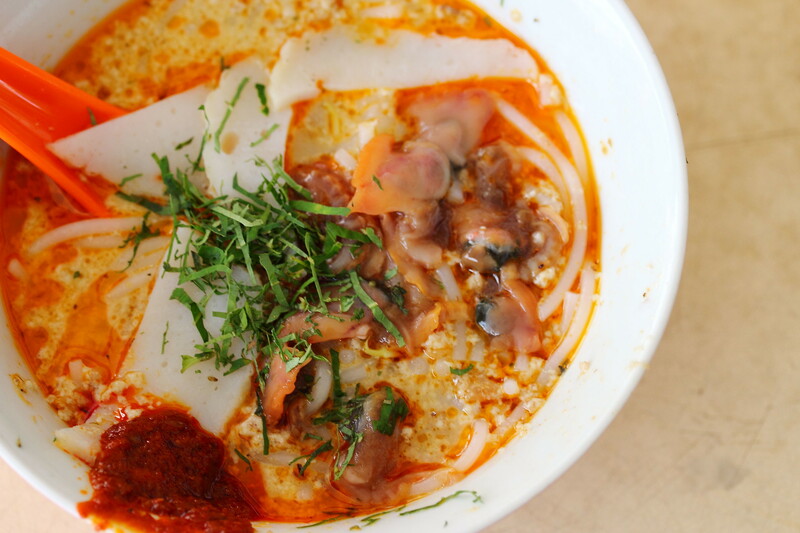 We’ve put together ten of the best laksa dishes on offer in Singapore. Browse our breakdown and see what catches your eye, then click the links to order online. 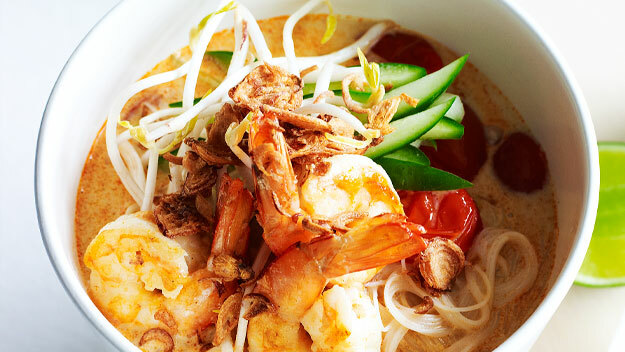 If you love laksa, you’ll love this. 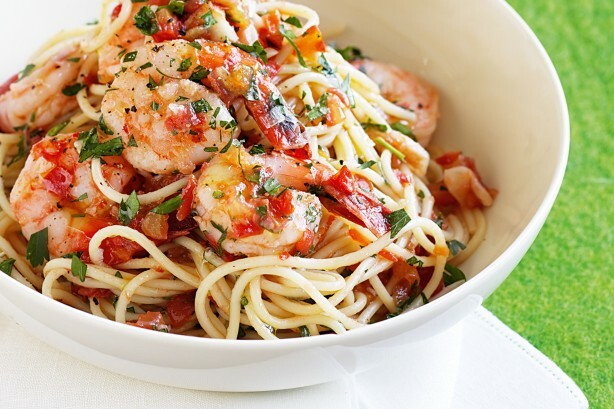 Succulent prawns and hei bee are braised in a creamy sauce, served up with fresh spaghetti and laksa leaf garnish. Feast on some of the best laksa in Singapore when you order in from Pasta Box. Their creamy laksa box contains prawns and chicken, tossed in a deliciously rich and creamy sauce. Makan Jen Hotel have perfected their laksa recipe. This signature dish is made up of river prawns, bean sprouts and egg, all slowly stir-fried with a homemade sauce. 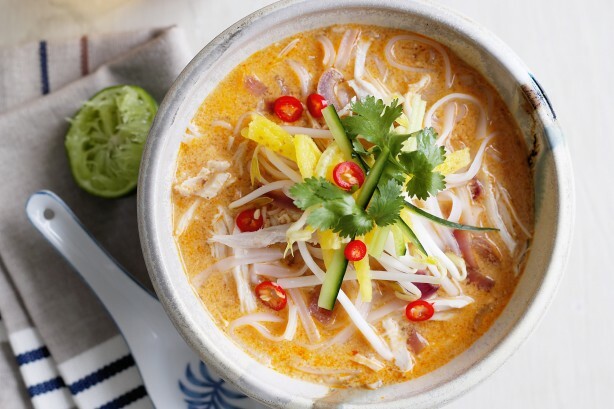 This Ah Dong laksa is a must for those who enjoy big flavours and fiery heat. A side of you tiau helps combat the spicy edge of this delicious dish. A delicious combination of authentic Thai cuisine and signature laksa flavours, this dish is made with a fiery green Thai curry paste and fresh seafood for a truly memorable flavour. Seafood fans will love this delicious dish from Pasta J. Toasted whole squid, crunchy shrimp and mussels make up the core of this meal, while a rich laksa sauce tie everything together beautifully. If you’re after a simple laksa dish, this signature special from ComBi Cafe is a great choice. Ideal for lunch or dinner. This premium take on the classic Malay and Chinese dish contains marinated prawns, served up in a fiery hot laksa gravy, then topped with fresh herbs and garnish. Feast on fabulous flavours and fresh ingredients when you order in from Capstone Cafe Grill. A combination of rice noodles is served up in a unique laksa gravy, then topped with fresh cockles, prawns, fish cake and egg. This laska pasta is made up of slow cooked linguini, fresh tiger prawns, scallops and mussels, all served up in a rich laksa sauce. It’s never been easier to experience amazing food from the comfort of your own home thanks to foodpanda. From Penang laksa to more far-flung takes on this classic dish, you’ll always find something to whet your appetite and excite your taste buds when you turn to foodpanda. With new menus added all the time, there’s always something new and exciting to discover. Choose foodpanda for quick and easy online ordering, and speedy delivery so you can enjoy your food faster than ever. Looking for tips and tricks on how to cook new cuisines from home? Turn to foodpanda Magazine for techniques on how to perfect your homemade dishes, with great recipes on how to cook laksa in your own kitchen.